My cleaning lady just called me and in panicked, broken English told me that she forgot to clean the mirror in my half-bath yesterday. Y’all, I’m thinking this means she thinks I’m like a tyrant. Or at best a witch. Okay, but if she did think me a diva, she’s not too far off. You want to know why? Here’s the thing. 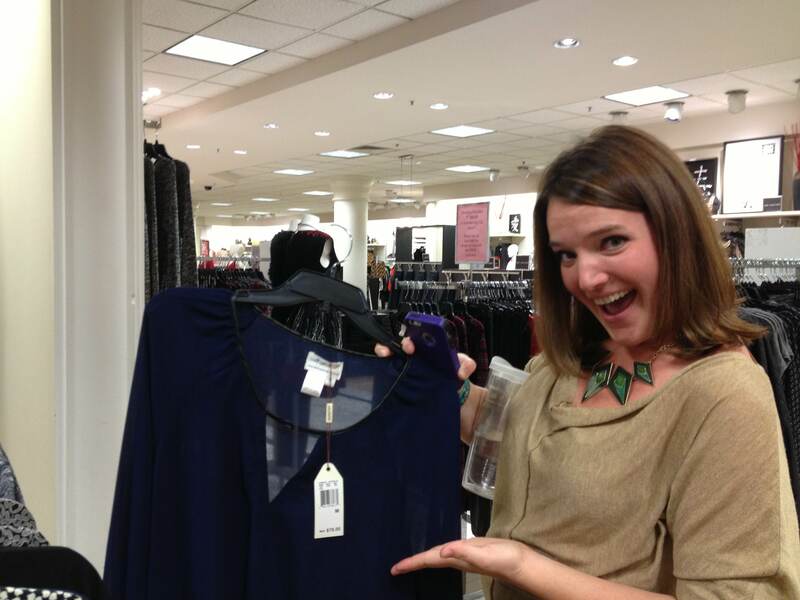 My pal Natalie Weakly is a famous image consultant. She’s all telling people what to wear and when to wear it and where to put their end table in their foyer. And, she needed volunteers to model clothes for her on Great Day Houston this week because she’s like totally famous and gets to be on TV all the time. And since apparently my church book about not seeking my own praises hasn’t stuck yet, I volunteered! Yesterday, I met Natalie at the Galleria and she put all sorts of clothes on me. Then she had me try on, oh, I don’t know, 85 pairs of shoes. Here’s me waiting on Natalie to bring me shoes when I thought I’d only have to try on three pairs, tops. I tried to pose really cute in all of them so that Natalie would be blinded by my charm and think the shoes worked okay. This did not happen. 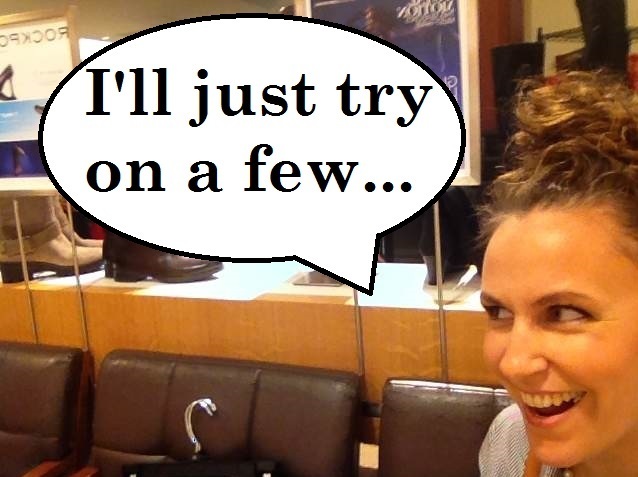 Eventually, I tried on every shoe in Dillard’s including the ones in the toddler wear department. Whatever. I’m not going to fall. 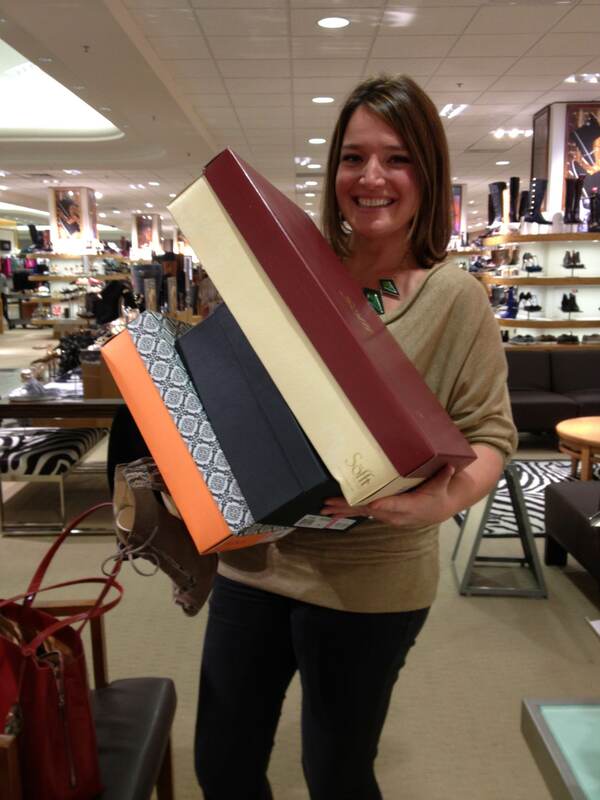 After wrapping up the shoe department, I helped my famous fashion consultant push a cart of clothes just like they had to do on The Devil Wears Prada, except for none of the clothes were Prada and Natalie is really sweet and not at all like the devil. Okay folks, I’ll let you know when I’m disgustingly famous. Now, off to clean that half-bath mirror so that I can primp some more.